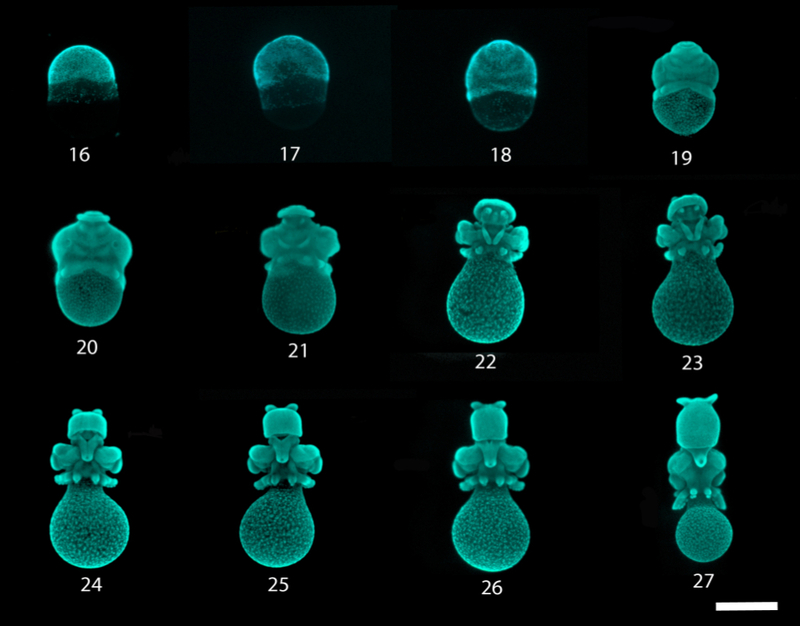 Our lab studies the longfin inshore squid, Doryteuthis pealeii. This squid is a classical model of neurophysiology and cellular biology and is easily accessible at the Marine Biological Labs in Woods Hole, MA. We have developed a number of protocols for lineage tracing, in situ hybridization, and histology among others, as well as generated large sequence databases in order to establish the squid as an embryological model.